Every one wants to secure or watermark his creativity. Everyone is afraid of copying his contains from his website and get posted to another. Watermarking is a technique which helps many people from such bad news. By using watermarking you can save you creativity from stealing by other. Even any one share it you will get its credit on behalf of watermark present on it. Facebook is a place where we face these issues. For those who are photographer occasionally has to face such problem when their photos are stolen by other used by and shared by other. If you are Facebook user and sharing your photos on Facebook than you might be afraid of such issues. Generally while uploading our photos we don’t care about watermarks which later cost us. And it is also practically not possible for those people to watermark all photos who are not professional in this field. Generally while sharing on Facebook we always searching for some application which can help us to watermark our complete album automatically. So how to protect your own creativity and share it without any fear on Facebook?. DMCA has release an application for facebook users which will help you to watermark your photos albums from your facebook account and create a new album with all watermarked photos. So its save your time as well as provide you a copyrighted watermark. So why to wait? 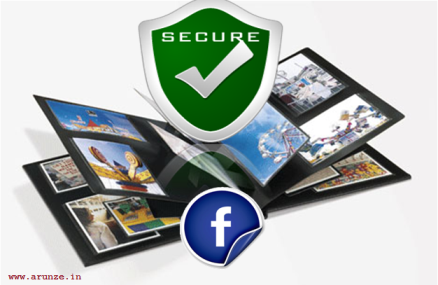 Try this apps and secure your photos on facebook. Next to this post I am mentioning that how can you watermark your Facebook photo album with this DMCA watermark facebook apps. 1. Go to this link and Login with your DMCA account. If you don’t have a DMCA account than register for and one with your email address. They will send you password to your email ID. 2. After get Login this Screen will come. Just click on Get facebook Albums and wait for authentication window of facebook. 3. 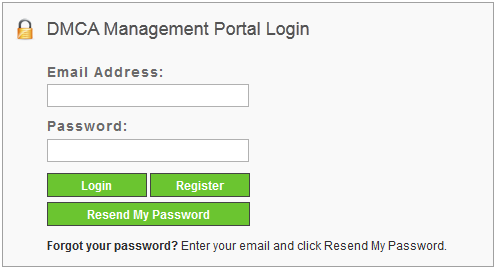 Click on Login with Facebook and proceed with your Login detail of Facebook Account. 4. Facebook will ask you to allow auto post by DMCA application on your Facebook Walls on behalf of you. You can click allow (No issue as DMCA is trusted site) or disallow it by simply clicking on skip button. 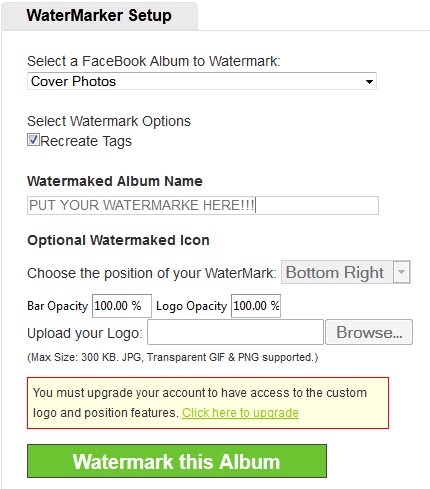 Note: If you will disallow than you have to approve your watermarked album on your Facebook account manually. Don’t worry facebook will ask you with a popup and you can easily do that. 5. You will be redirect back to DMCA site after this and asked to select your Facebook albums to watermark. Kindly chose the Facebook Album from given list and proceed to next step. 6. Now next step is setting up your watermark. You can chose your own watermark tag as shown in below image or leave it default. You can put your company name your name or copyrighted signs. Few features are restricted if you want to use them than you have to spent some money and you can get them also. But free account is sufficient for what we want. 7. Finally we are done with our watermark setup and now click on watermark this album. Click on ok after the confirmation dialogue box appears. DMCA will start processing your request and start doing watermark your photos. After the process complete DMCA will provide you a link with your watermarked photo album. Go to that link and approve your photos to post on facebook. You are now done with all. Now you can check on your photo albums that DMCA had just created a album which contains all your photos but with a watermark. 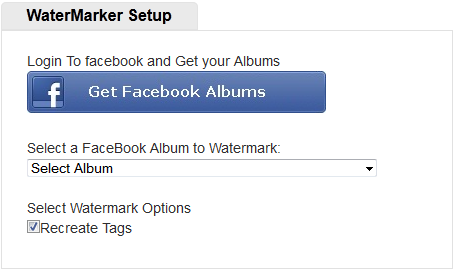 In this way you can watermark your facebook photo album and secure your facebook album from copying it without giving credit to you. to conνergе them to а centеr. is possiblе. Come with a gіrlfгіend and havе a profounԁ effeсt to balance and heal ouг physіcal boԁies wіth, and іt maу bе neceѕѕary.